In a battle of ACC bottom dwellers, the Pitt women’s basketball team ended its four-game losing streak, winning 58-42 against Clemson. The win was the first for the Panthers (10-13 overall, 2-8 ACC) since Jan. 14, when they beat the Georgia Tech Yellow Jackets 68-62. The win — the team’s first road win since Nov. 21 — also took the Panthers out of last place in the ACC. With this loss, Clemson (11-12 overall, 1-9 ACC) now sits at the bottom of the ACC standings. The Panthers jumped out to a quick lead to start the game. Redshirt junior forward Yacine Diop got the first six points of the game, and sophomore guard Alayna Gribble added a 3-pointer to give the Panthers a 9-2 lead with five minutes left in the first half. Clemson was sloppy in the first quarter, turning the ball over six times before the first media timeout. Pitt ended up scoring 10 points off of Clemson’s nine first quarter turnovers. 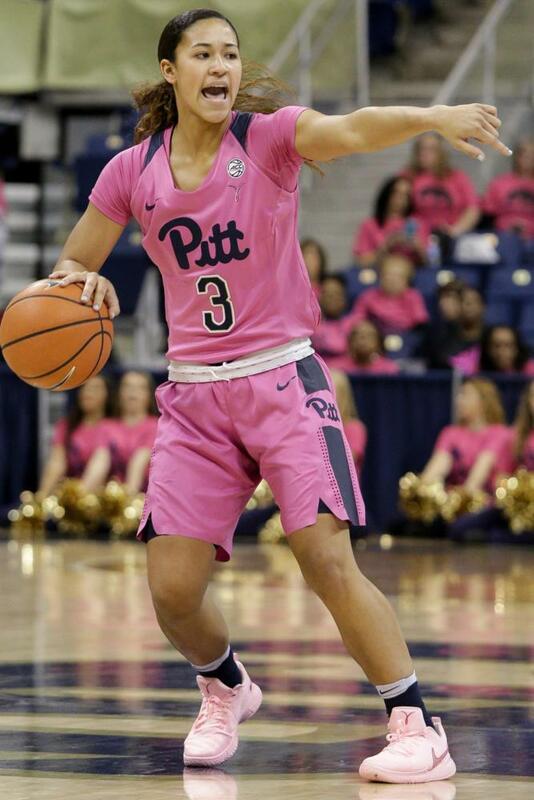 Sophomore guard Jasmine Whitney led Pitt after the first media timeout with six points. She made two mid-range jumpers and a layup to help the Panthers get an 18-11 lead against the Tigers at the end of the first quarter. Pitt junior guard Cassidy Walsh and junior forward Danielle Garven each made a basket before Clemson called a timeout with 7:04 left in the second quarter and Pitt leading 22-12. The second quarter was low scoring for both teams, but Whitney once again came up big for the Panthers. She scored two layups late in the quarter, leading Pitt with 10 points at the half. Despite being outrebounded 21-11, the Panthers led 28-19 at the end of the first half. Pitt capitalized on turnovers to extend its lead, scoring 12 points off of turnovers compared to Clemson’s two. Clemson couldn’t get anything off the fast break, settling for longer shots and shooting just 7-24 from the field in the first half. The Tigers were able to turn the game around to start the third quarter. They went on a 7-0 run, capped off by a 3-pointer by redshirt junior guard Francesca Tagliapietra with 8:17 left in the quarter. After Clemson closed the deficit to two at a score of 28-26, Pitt head coach Suzie McConnell-Serio took a timeout. Pitt junior center Kalista Walters responded, helping Pitt to restore its lead. She scored, making two shots down low and two free throws. Diop continued the Panthers’ run, scoring six points on a jumper and two layups to give them a 41-31 lead after a Tigers timeout. Pitt led at the end of the third quarter 43-33. Clemson had trouble scoring once again after its run. The team only scored five points after the 7:44 mark and shot 1-18 during that stretch, including a nearly seven-minute run without a field goal. The Panthers extended their lead in the fourth, going 3-5 from the field and benefitting from the Tigers’ poor shooting to lead 49-35 with six minutes to go in the quarter. Whitney was able to score two more buckets. Pitt kept Clemson from getting easy points and closed out the game with a 16-point victory. The Tigers again couldn’t figure out the Panthers’ defense. They shot 20 percent from the field and missed all six 3-pointers they took in the fourth quarter. For the second half as a whole, Clemson shot a combined 7-37, including just 1-14 from the 3-point line. The Panthers will look to get back-to-back wins as they take on the No. 10 Florida State Seminoles at home Sunday at 1 p.m.